Simon loves any food with coconut, sweet or savoury. I asked him what kind of cake he'd like for his birthday...Coconut, obviously. 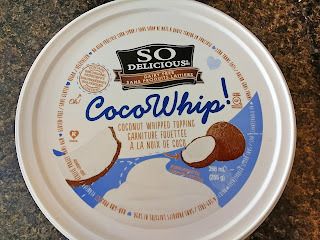 He can't tolerate dairy products, so I had recently purchased coconut milk whipped cream to try it out. This stuff is *delicious,* as in hard-to-stop-eating level of delicious. Simon asked for a cake that had this on top, so my goal was a cake that had the right flavours to pair with coconut milk whipped cream. I used an entire containers to ice this cake, so if you want to cover the sides too, you'll need two containers. I love working with almond flour and coconut flour because they add a great depth of flavour, and, even more conveniently, they don't rise very much. This makes them perfect for a layered cake, because they bake perfectly flat. In two large bowls, combine dry ingredients and mix. Preheat oven to 325 degrees F, convection bake. Grease two matching 9 inch round cake pans. In a third large bowl, add eggs, and use a hand mixer or whisk until they are light and frothy. Add in maple syrup, coconut oil, vanilla extract, zest and juice. Pour half of the wet mixture into the two bowls of dry ingredients. Fold to combine. The mixture will look grainy. Pour batter from both bowls into greased cake pans. The batter will be thick, so smooth it out flat with a spatula. Place side by side in the oven for 28-30 minutes. Cakes will be lightly browned. 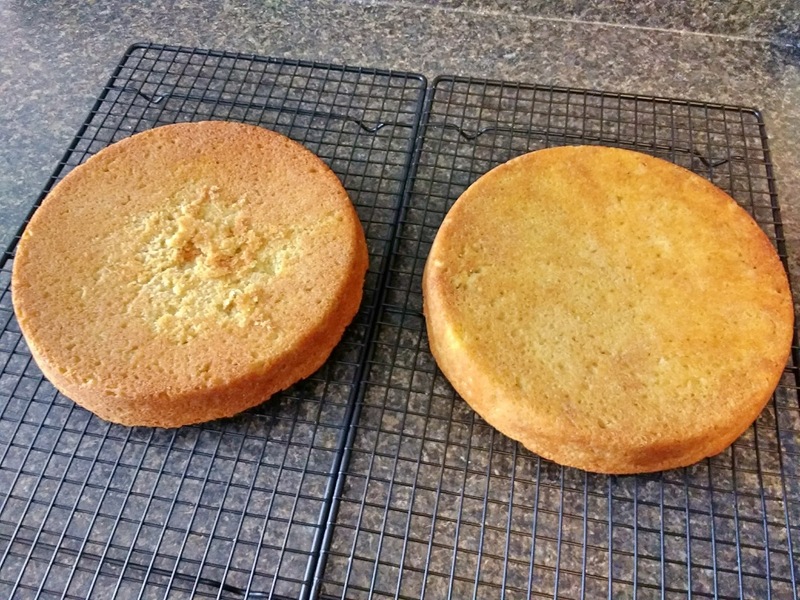 Allow to cool for 3-4 minutes, then run a paring knife around the sides to loosen the cakes from the pans. Carefully flip over onto a cooling rack to cool. When cakes are completely cooled, add a thick layer of coconut milk whipped cream (half of the container) evenly onto one cake. Very carefully, slide a large spatula under the second cake and place it on top of the bottom layer. Add another layer of whipped cream on top. 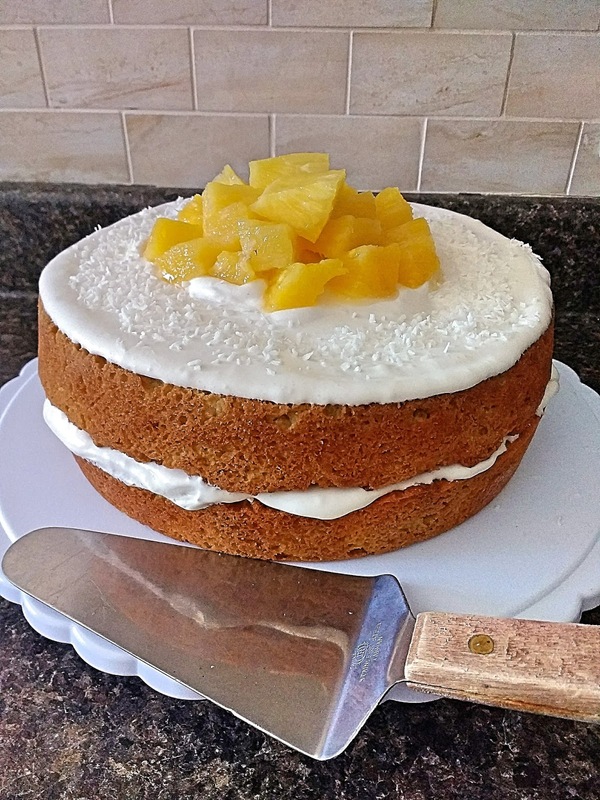 Top with coconut and pineapple.